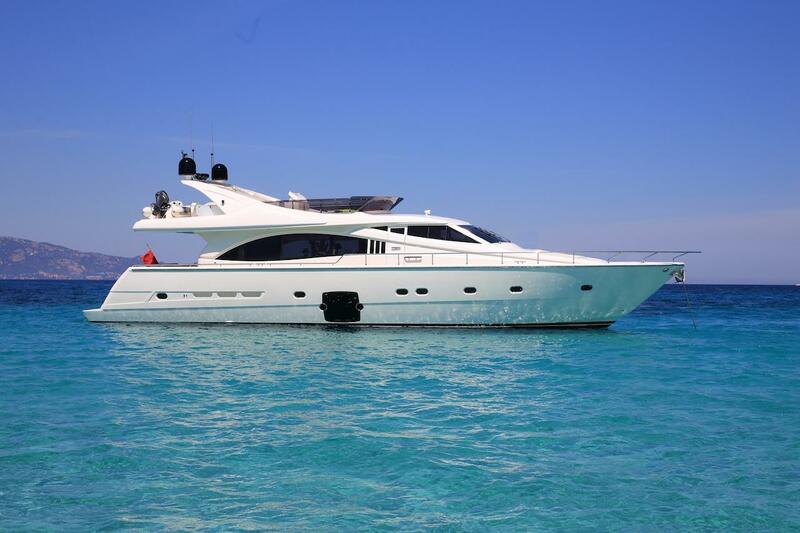 22m/74ft open yacht BYRON BAY is a speedy open yacht built by Ferretti in 2007 and last refitted in 2018 with the latest technology and updated furnishings. 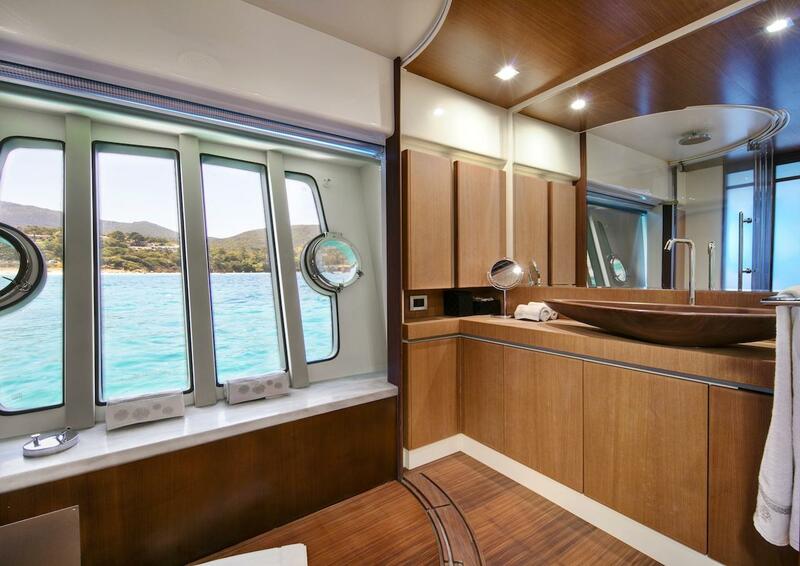 She can cruise with 12 guests on board and has accommodation to sleep a maximum of eight guests across four beautiful cabins. 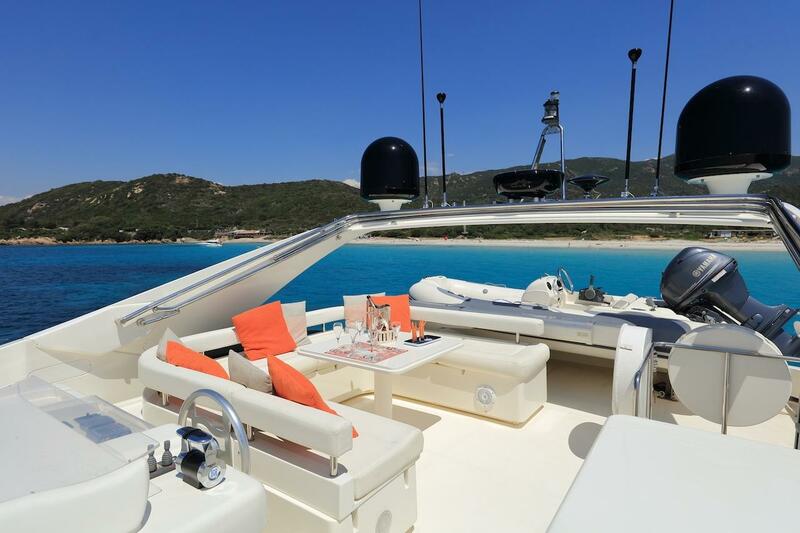 From the swim platform, guests can access the main deck aft for alfresco dining at the raised table and sofa integrated into the stern. The bow section has uninterrupted views for guests to enjoy while sunbathing on the sun pads or relaxing under the stars. 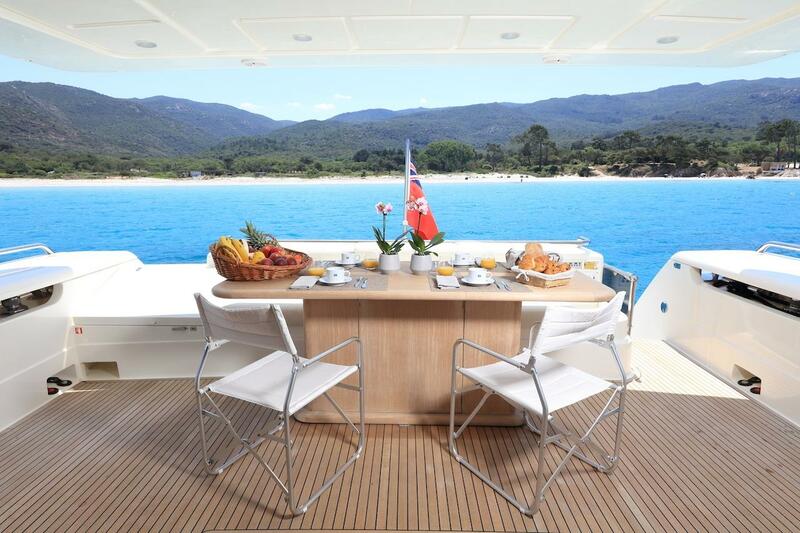 Above, the flybridge provides another spacious guest area to dine alfresco and rest outside in the shade while marvelling at the scenery, placing a U-shaped sofa around a drinks table beneath the hardtop and an array of sun pads and bean bags forward. 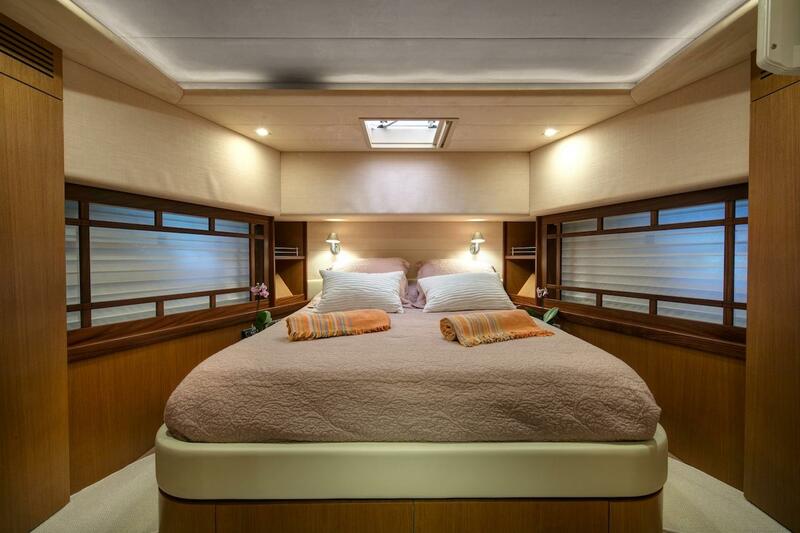 The lower deck is fitted with the tender garage, engine room and guest accommodation, which enjoys plenty of natural light through the large windows in the Master suite, double cabins and both twin cabins. 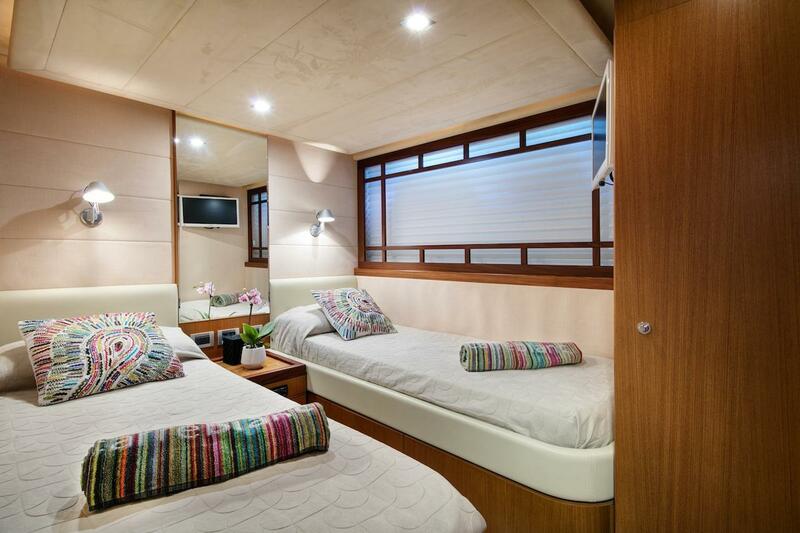 Crew accommodation and facilities are placed within the bow. 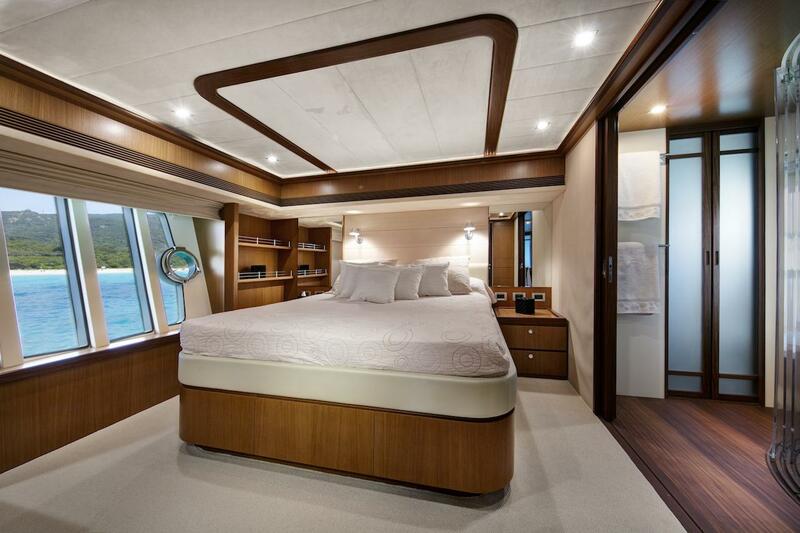 Extensive glazing gives the main deck interiors a light and airy atmosphere, bringing out the beautiful wooden fixtures and panelling that complements the off-white furnishings. 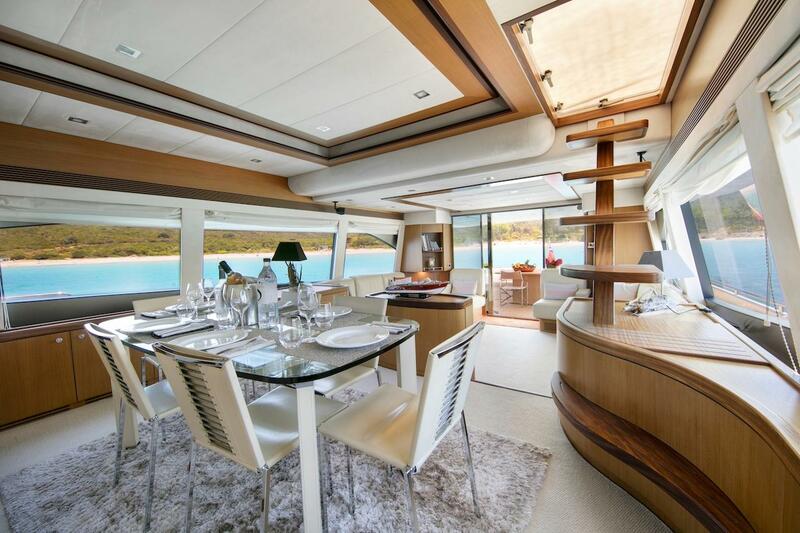 Immediately behind the helm station is the modern formal dining area which seats six at an elegant glass-topped table. 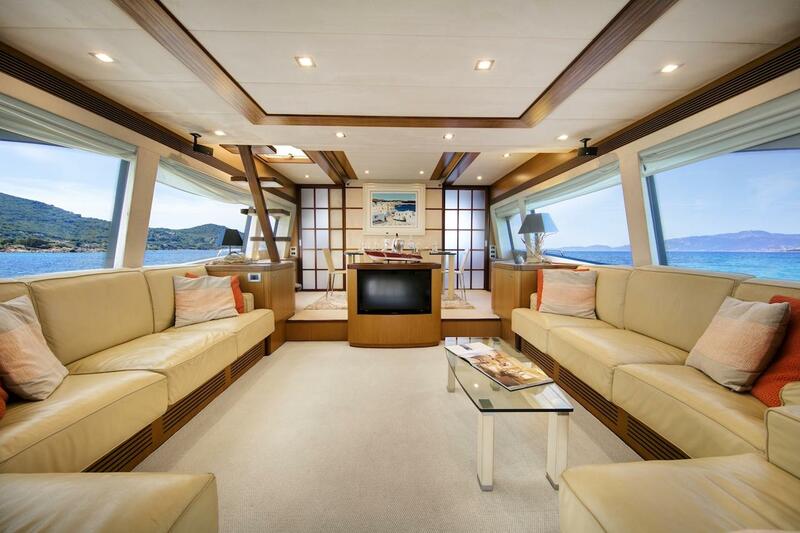 Close to the glass sliding doors to the main deck, aft two L-shaped sofas with coffee tables are integrated into the sides of the room, taking advantage of the excellent illumination and views. A pair of 1150 MAN engines allows for a cruising speed of 24 knots and a top speed of 33 knots. The accommodation sleeps a maximum of 8 guests in 4 beautifully appointed cabins: 1 Master suite, 1 double cabin and 2 twin cabins. The professional crew of 3 will ensure that everyone on board receives stellar service throughout the cruise.